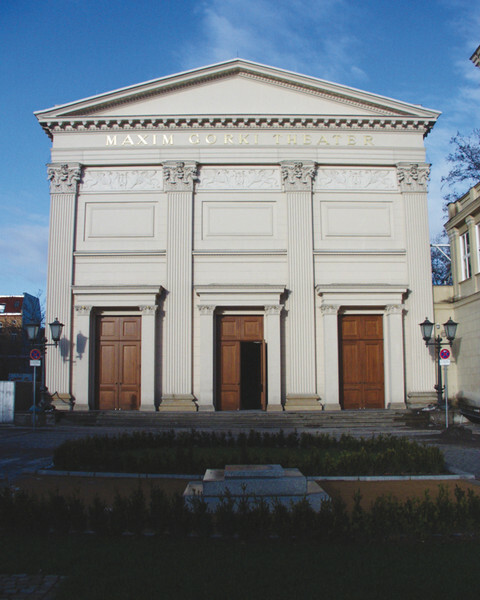 From 1825-1827, Karl Theodor Ottmer designed the building with the classicist facade for the Berliner Singakademie (Berlin Choral Academy). 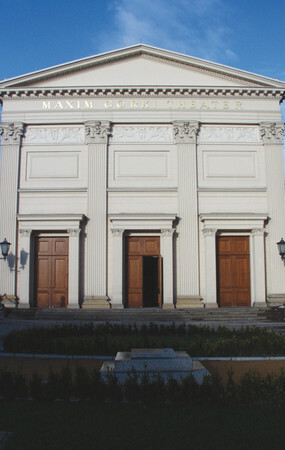 Since 1952, it has been the venue of the Maxim Gorki Ensemble. 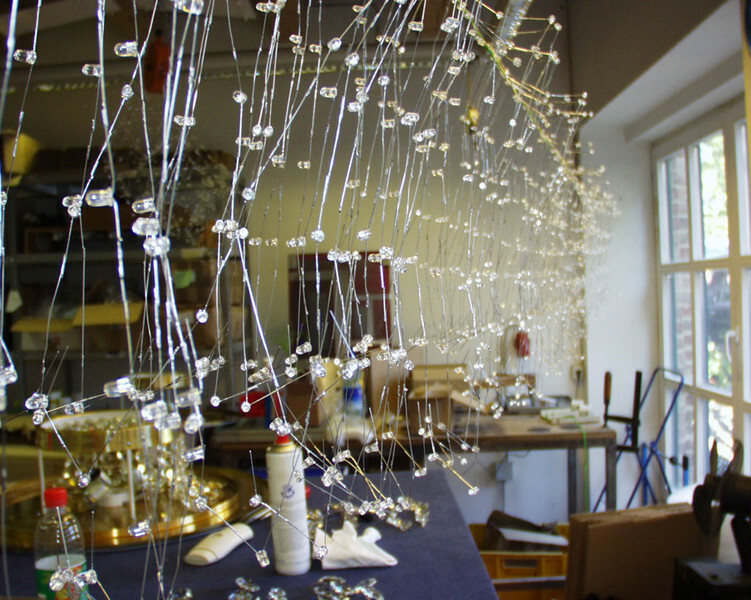 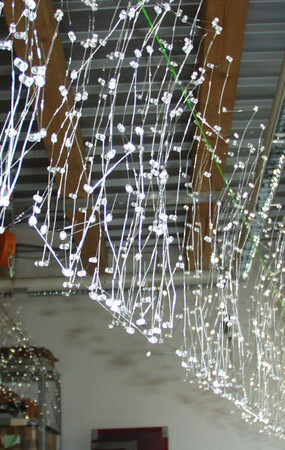 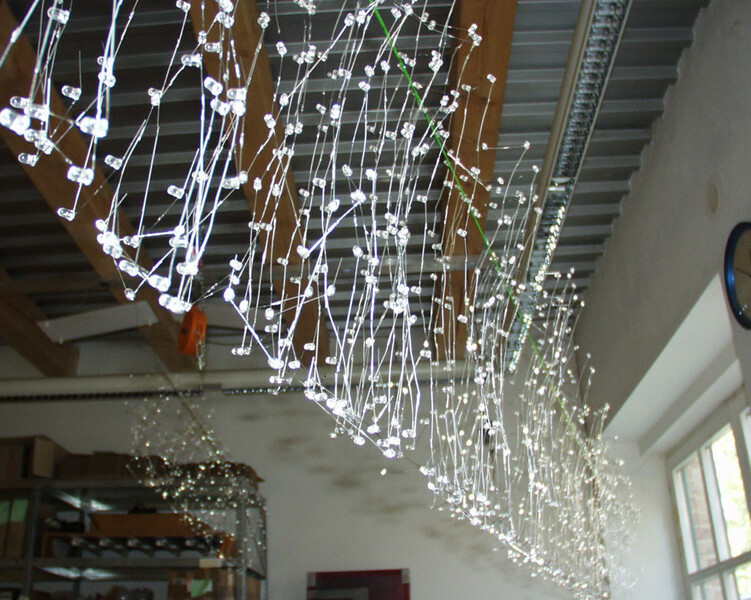 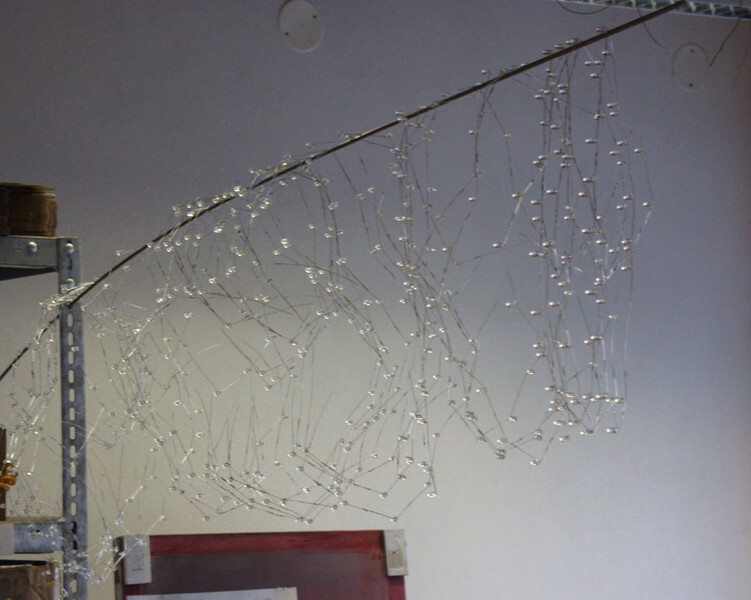 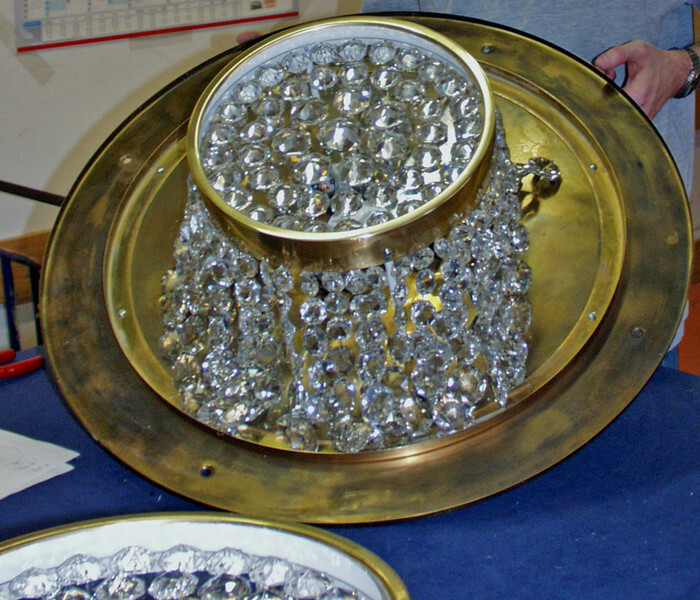 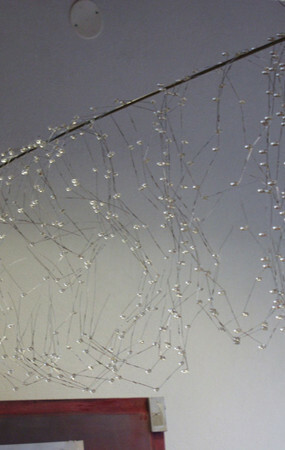 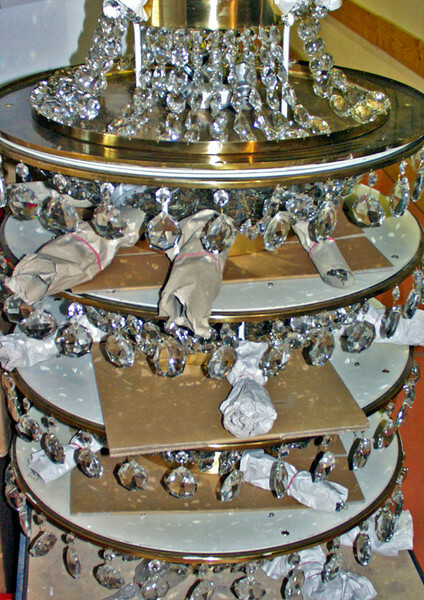 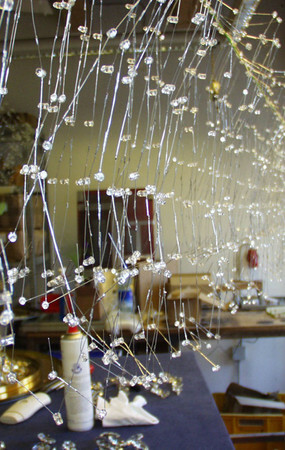 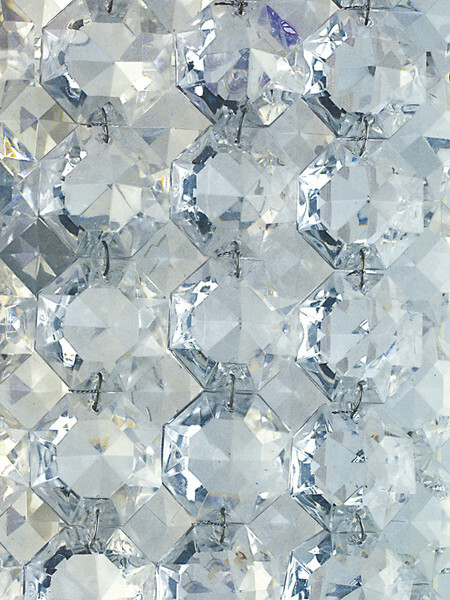 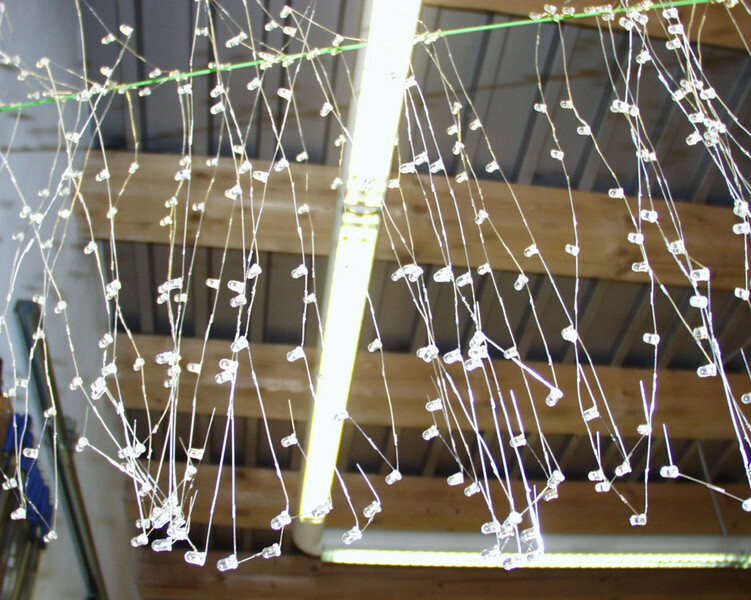 In his lighting concept, the lighting designer, Jan Dinnebier, recycled some of the crystal trimmings retained from the existing 1970’s chandeliers. 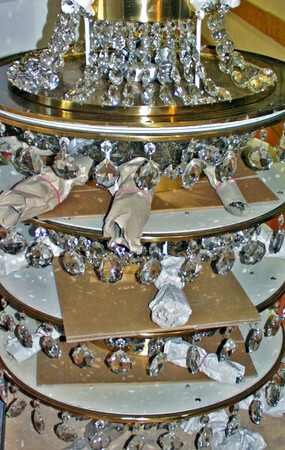 They were cleaned, woven into crystal sheets and backlit with modern lighting technology. 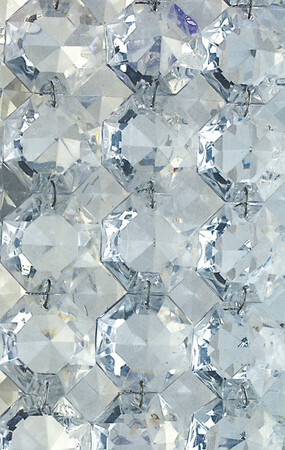 These crystal sheets carry through all public spaces and permit, like a glimpse behind the scenes, a view of the lighting infrastructure from certain angles. 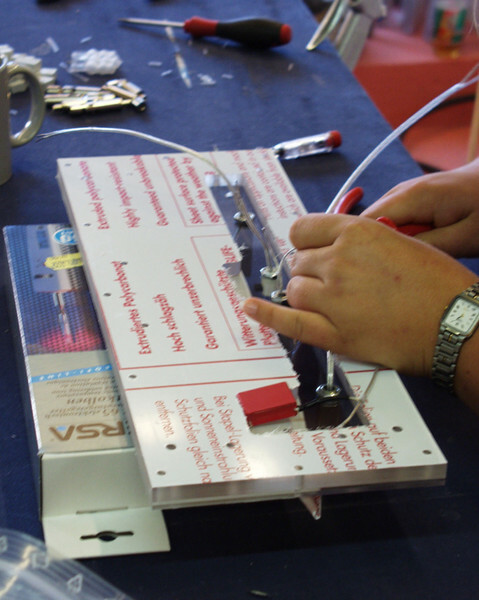 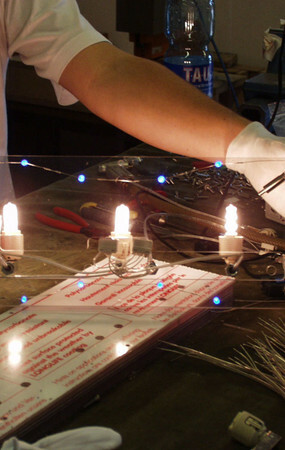 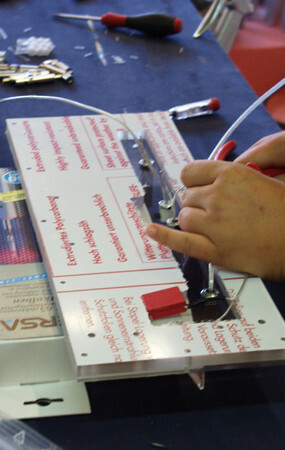 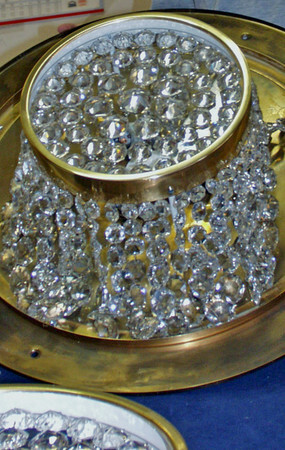 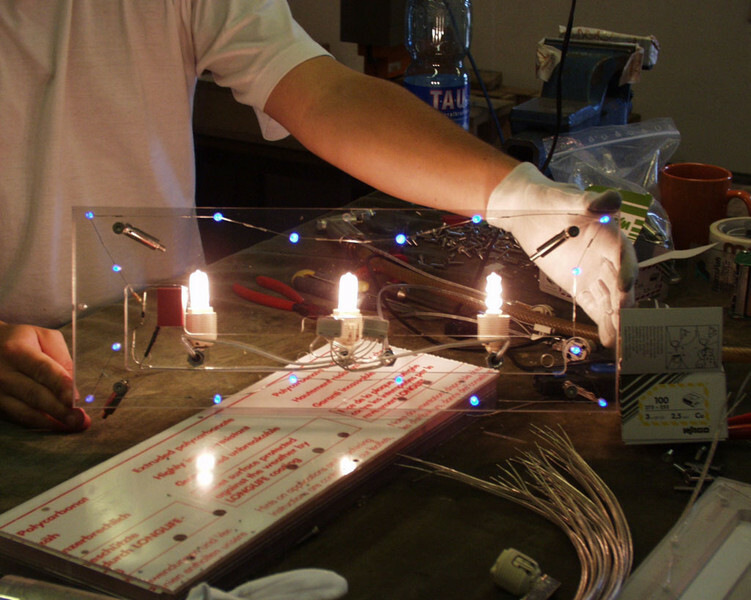 Mounted on a polycarbonate base plate, the smallest available high voltage halogen bulbs and colored LEDs are used for light sources. 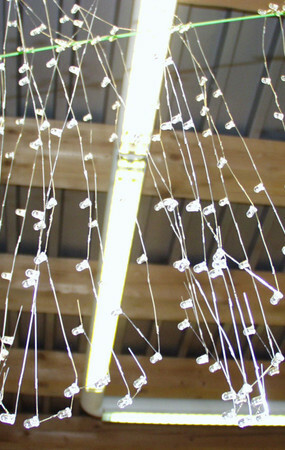 Different dimming characteristics allow the LEDs to emerge stronger as the auditorium is darkened.